Classroom teachers are encouraged to join a special team of experienced K-12 teachers this summer in a pilot program with Amity–concurrent with this summer’s SEP–to explore with Chinese peers ways to improve classroom teaching within the constraints of China’s educational system. Please see the fact sheet for Adventure in Learning, the Peer to Peer Summer English Teaching Program. The ERRC Summer Teaching Program is a credited university English teaching program, predominantly for graduate and post-graduate students to improve their oral English. To gain cross-cultural sensitivity through living in as well as working in university campuses. To develop a deeper understanding of China, of China ministry and a heart for the Chinese people. 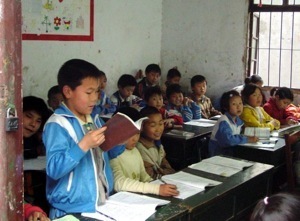 To be a witness for Christ in China as a competent and caring teacher. To prepare and discern prayerfully for possible longer term ministry commitments to China.